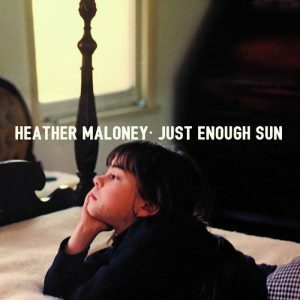 Heather Maloney’s new ep Just Enough Sun roused me out of my torpor on first listen. It wasn’t just that it’s good, which it is, but also that it reaches out and grabs you — with a lyrical twist or a strange saga or some unexpected instrumentation that makes you pay attention. The stand-out track is “Albert 1-5,” a song as unsettling as it is hummable, and destined to see some college / NPR radio play, I feel sure. In all, Just Enough Sun consists of five original songs and a Dylan cover. 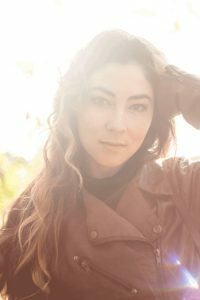 “Let Me Stay” is a song about going home again, only to find that your old bedroom is the guest room now… But, Heather sings, “I am a guest in every room I’ve ever known.” Stylistically, it’s in the tradition of Shawn Colvin, which isn’t a bad thing. “Don’t Be A Pansy” is also excellent, although I found myself thinking she sang it a little too pretty for my taste, only to hear her sing “precious and pretty — that’s what you called me” making me wonder if the styling in this case was intentional. Needless to say, she turns it on in the final choruses, although truly, it’s hard for Heather not to sing pretty. She has one of those voices. Her time in a Buddhist meditation center seems to have influenced “Bullseye,” about the archer shooting into the sea. Then something almost symphonic breaks out halfway through the song, and although it’s surprising it still seems right. As mentioned, “Albert 1-5” is my tune, and if you’re not careful, you too might wake up at 3am humming it as I did the night I played it on the radio here in town. It’s actually really sad — the story of five chimps who were sent up in a rocket, shackled into cages on a mission they never signed up for. Horrible really. But when the focus segues from the chimps to us, you realize that we’re all “captive captains,” and for sure, “none of us will make it out alive.” And yet, what a chorus! What a song! I will mention the Dylan cover only to say that it’s a perfectly good rendition of “A Hard Rain’s Gonna Fall” but a little too slow for my taste and not quite urgent enough to match the clarion call of the original. But no matter. It was just icing on the cake anyway. I highly recommend Just Enough Sun by Heather Maloney, and only wish I’d discovered her earlier. You can probably catch her touring this summer of 2018. She’s going all over. Just out on Signature Sounds.